Tactical Brass Recovery brass catchers review. Discussion in 'Gear Reviews/Test' started by TEXASLAWMAN, Sep 14, 2014. I keep getting questions about my brass catcher. I use the catcher's from Tactical Brass Recovery http://www.tacticalbrassrecovery.com/ I have three different versions now. The first bag I have been using for three years now the zipper broke on it and they promptly replaced the whole bag. The first bag is still working great, I bought a second bag about a year ago it was almost Identical to the first but with a beefier mount. 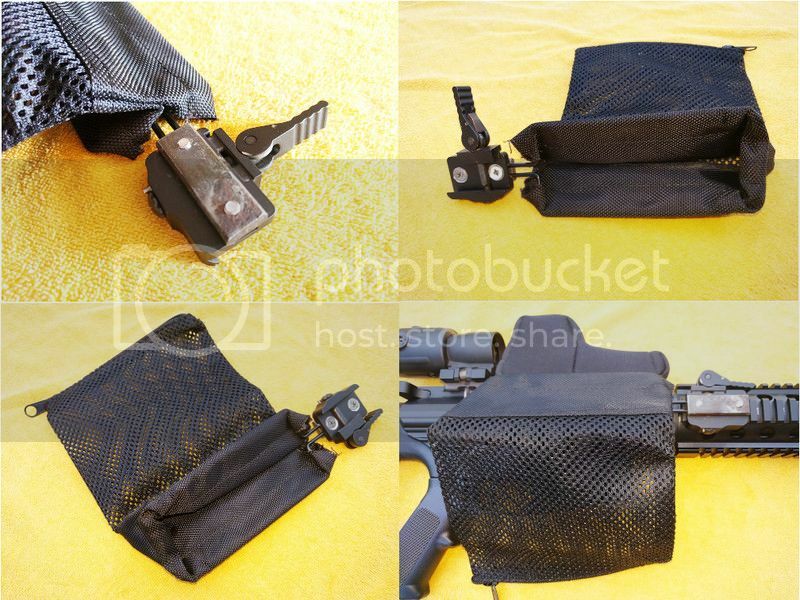 About four weeks ago I got the latest catcher called the operator this thing is an improvement in almost every way it has four positions to fold the bag out, it has a throw lever attachment, and it has a brass trap in the bag to keep the brass in when the rifle is hanging. Curly Shuffle, gshock, rgilbert and 1 other person like this. Best review yet of this catcher. Nice to see how it functions. I still need to get one, that way I don't have to listen to the sound of my brass bouncing off the walls and floor of my blinds. The new operator model is very nice the more I use it the more I like it. Are you using the Standard length Operator model brass catcher ? Using these also, one of the best AR investments for my rifle I have made, they are great!!! BANG BANG!!! Wow tried to buy one today all gone...... Left a email to see when back in stock. I just purchased one of these brass catchers. My old Caldwell won't work with my Thermal scope so I've been loosing tons of 6.8 brass (that's an exaggeration ) I hope these work as good as reviewed, should get it next week. Mine are all still working use them every week. DJ would manage to break one in a week but just about anyone else should be fine lol. djones and RattlesnakeDan like this. I have not lost a single piece of brass using my TBR catcher. These are built pretty tough so really can't imagine breaking one... Even so, I bet we could put DJ in a round rubber room and he could manage to break an Anvil ! Chopperdrvr, FrankT, djones and 1 other person like this. i was about to pop a top when i saw a 5 min vid by doggie. thought he might be coming around. then i saw the date and lost my chub. der Teufel and OneK like this. You guys are out of my league. I doubt that it's as good as the Caldwell, and it probably won't last as long either. But it was inexpensive and I had fun figuring out how to put it all together. Homebrewer, OneK and FrankT like this. Yea the one on 6.8 was almost a direct copy of the first gen TBR. I've got several TBR's and the latest version with the 4 position stop & quick release is awesome. So nice to flip the catcher forward when checking chamber, cleaning, or rare occasion of clearing jam. I was a little hesitant given the steep price but like most things you get what you pay for. FWIW I did break the composite frame on one of the earlier models, from either cramming it under the truck seat or b/c I'm lefty and it bangs against my chest when rifle is slung. I contacted Lew at TBR about cost of repair (since I broke it) and he fixed it at no charge and had it back to me with the quickness. Great customer service. My brass catcher showed up today. It's very well engineered considering it's only job is to catch brass. It's a little heavier than I expected but considering all the other crap on my rifle I guess it really doesn't matter. The other brass catchers I had just would not work with my thermal set up but I was tired of loosing brass and leaving them laying in the framrs fields. This will work nicely. fanninland and FrankT like this. Nice but that thing is huge, looks bulky? ?